Many international graduate students need to take both the GRE and an English proficiency exam. Luckily, there are ways to study for both of these tests at the same time. In fact, the IELTS and GRE are similar in quite a few ways. The main thing that separates IELTS Writing Task 2 and the GRE AWA Issue task is difficulty. GRE AWA is harder than IELTS. The GRE’s issue topic has a 30-minute time limit, and successful responses are usually 500-600 words long. In contrast, IELTS Writing Task 2 has a 40-minute time limit, with a recommended word count of 250-300 words. 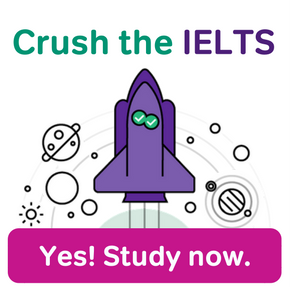 So on the IELTS, you analyse an issue in less detail, and you have more time to do it. 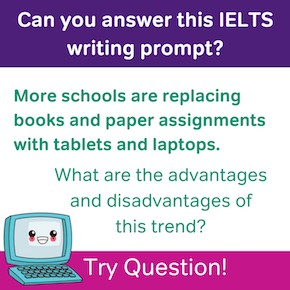 Because of this difference, it’s a good idea to treat IELTS Writing Task 2 as a warmup for the harder — but similar — GRE Analyse-an-Issue essay. As you get more confident with your IELTS writing, you can even rewrite a shorter IELTS Task 2 response, changing it into a GRE Issue response. From there, you can work on mastering your GRE writing skills in both AWA Tasks (Issue and Argument), while strengthening your IELTS writing abilities. 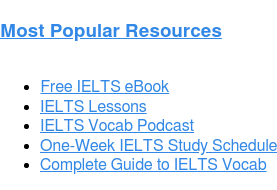 You can also use IELTS Speaking to refine your writing skills in IELTS Task 2 and the GRE Issue topic. The Speaking topics on the IELTS don’t explore social issues in the same way as IELTS or GRE essays. But IELTS Speaking does require you to quickly think of your personal opinions and views, and express them clearly; this is especially true in part 2 of IELTS Speaking! So your IELTS Speaking practice can help you think quickly about your opinions within the time limits of GRE AWA and IELTS Writing. IELTS Reading and GRE Verbal also have a lot in common. Here again, GRE practice can be treated as a harder “next step” after some IELTS practice. The sentence completion in IELTS Listening and reading is easier than the sentence completion in GRE Verbal. But SC on both exams involves the same basic skill — understanding the way that vocabulary fits into a sentence’s context. 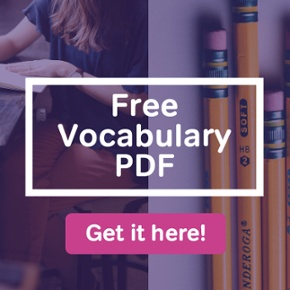 And speaking of vocabulary, the IELTS does not have any questions that directly ask about the meaning of vocabulary words, while the GRE does. However, the readings on both IELTS and GRE have almost the exact same difficulty level. 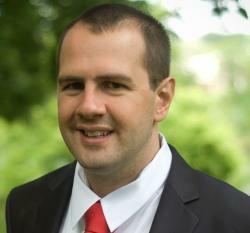 In fact, the level of IELTS vocabulary and GRE Reading Comprehension vocabulary are about the same. Only the GRE’s shorter sentence completion readings are consistently harder than IELTS reading. The thing that really makes GRE Reading Comprehension harder than IELTS Reading is the questions. The GRE is much more likely to ask questions about theme, subtext, and author attitude than the IELTS. However, the IELTS will also touch on these question types. So again, what you’ll want to do is start out by building IELTS skills, and then go on to practise the harder GRE Verbal materials as well. Believe it or not, some IELTS skills can be used in GRE Quantitative. This is because GRE math includes graphics — charts, tables, and so on. The IELTS also has a graphics component. IELTS Writing Task 1 asks test-takers to write a description of an infographic. 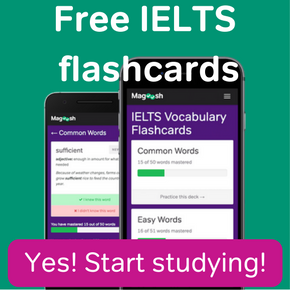 And IELTS reading includes some reading activities with diagrams and charts. To sharpen your skills with English language infographics, it can help to study IELTS Writing Tasks 1 and the visual parts of IELTS reading while you also study the GRE’s visual math content. Here, the GRE exam is not necessarily “harder” than the IELTS. Math and reading comprehension are two very different skills, and it’s hard to compare them directly. It is worth noting that IELTS visuals are often more complicated than GRE math visuals. So you may want to practise reading the GRE Quant infographics before you move on to practise with visual information on the IELTS exam. I got an overall IELTS score of 8.0 but a paltry 6.5 in writing. I’m anxious for the AWA section of the GRE as I fear I might end up scoring less than 3.0 or 3.5 in it. What should I do? The GRE AWA Issue task really is like a harder version of IELTS Writing Task 2. In other words, these are the same basic task, but GRE AWA Issue task requires you to write a response with greater depth and sophistication. Before you panic, though, there are a few things that give you a “leg up” in GRE AWA, so that you may succeed even if your IELTS Writing score wasn’t what you’d hoped. First off, the GRE AWA Argument task is very much its own animal. The thinking skills for GRE AWA Argument are closer to the type of thinking you’d do to correctly answer the paragraph argument questions in GRE Verbal. GRE AWA Argument is not-so-close in form to anything in the IELTS Writing section. And in fact, I’ve seen many students who struggle with IELTS Writing but are still strong in the AWA Argument task on the GRE.